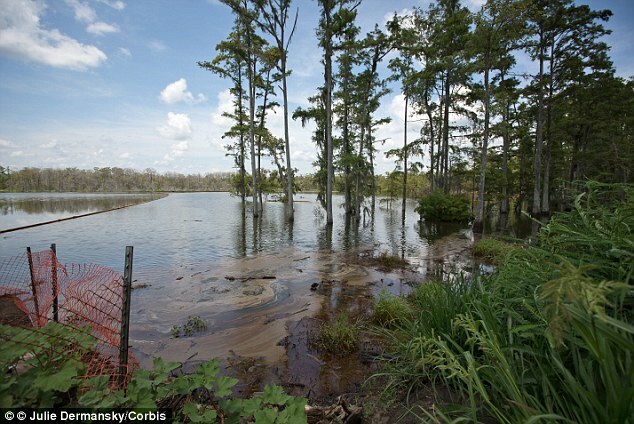 A Louisiana sinkhole that has sucked in trees and swamps as it spread to the size of 20 football fields is now at risk of exploding. 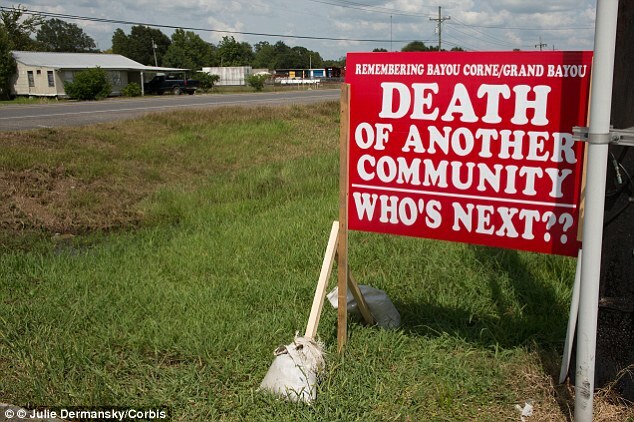 Residents of Bayou Corne were evacuated a year ago when the sinkhole, which is emitting natural gases, opened up. The gas exploration company that has been blamed for causing the problem after a mine collapsed, has resorted to digging relief wells to try to disperse the gas. 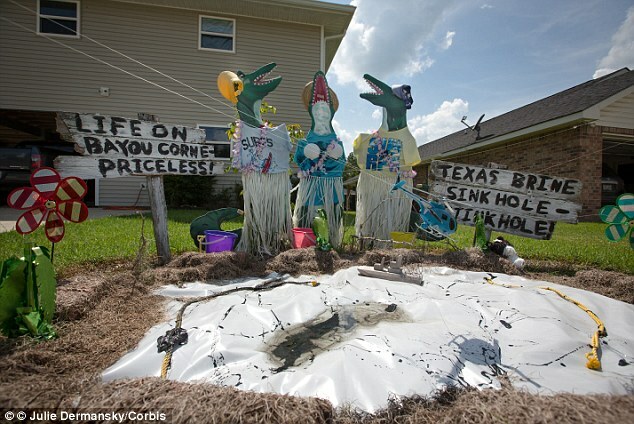 Louisiana state is suing Texas Brine as it tries to recoup $8 million used to deal with the sinkhole, including bringing in a team of scientists, according to The Verge. 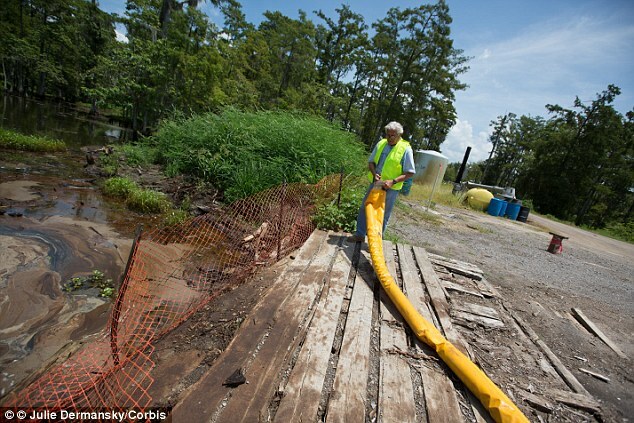 While no homes have yet been sucked in, officials warn that the gases being emitted could ignite, which would leave the Louisiana swamp looking like ‘the gates of Hell’. 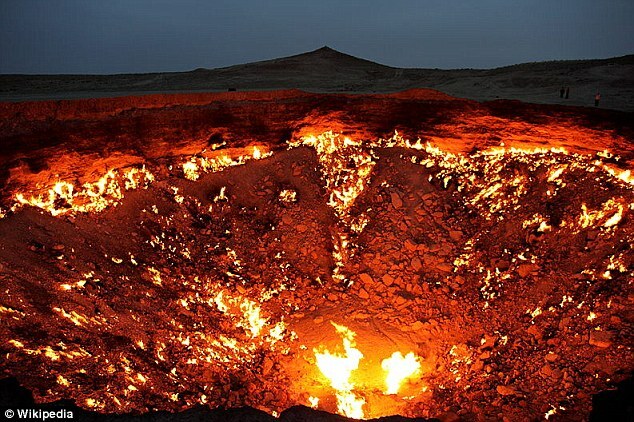 In a similar case, a crater caused by Soviet geologists drilling in Turkmenistan in the 1970s has been a fiery pit for more than 40 years after the natural gases being released were lit. 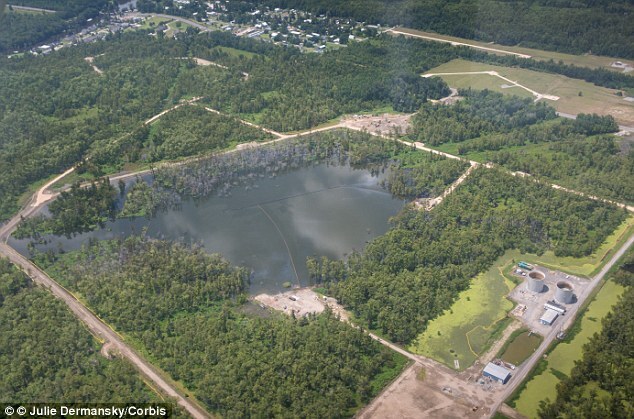 The Louisiana sinkhole, which is expected to expand to 50 acres, is currently 25 acres wide and 350ft deep in some points. Methane bubbling up from it has also escaped into an aquifer. 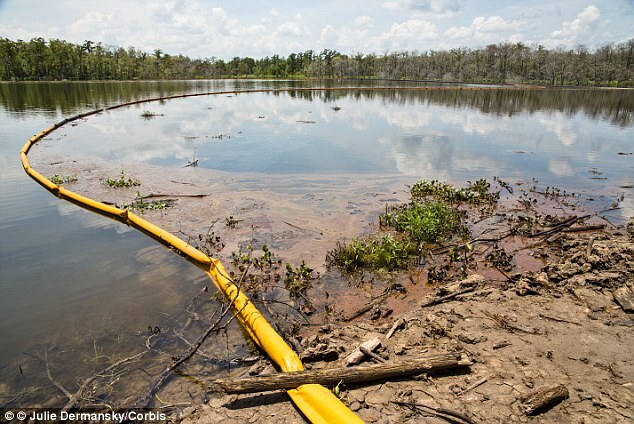 Experts fear that if oil and gas rising to the surface became trapped it could build up in a crevice and then explode. 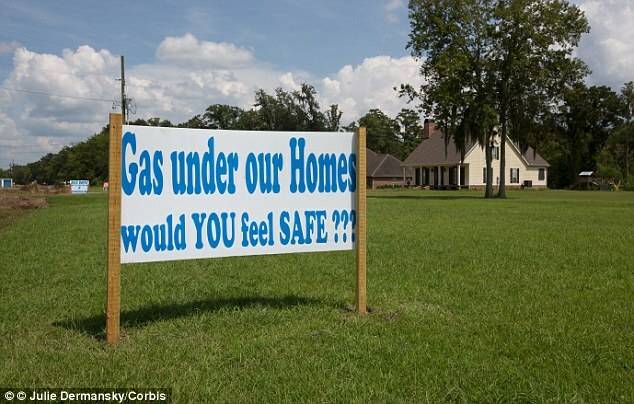 John Boudreaux, who is part of the parish’s emergency preparedness team, said about 6 million cubic feet of natural gas was trapped beneath the surface. He said only 5 per cent needed to get in the air for it to ignite. Scientists are constantly monitoring the affected region and several weeks ago noticed a rise in micro-earthquake activity, from an average of 10 to 15 a day to 326 in one 24-hour period. The sinkhole appeared overnight in August last year, when the wall of a salt mine 5,000ft underground collapsed, sucking in surrounding water and releasing gas. Because it allegedly knew the risks involved with deep drilling, Texas Brine’s insurance has refused to pay out, according to Al Jazeera. The natural gas company has bought up about 60 properties which it plans to demolish to make way for outlets so the build up of gas can release. A mandatory evacuation was issued to the parish’s 300 residents, but many are still paying their mortgages and utility bills, and some have even refused to leave their homes. Mike Schaff stayed on after the evacuation but said he is now ready to leave. 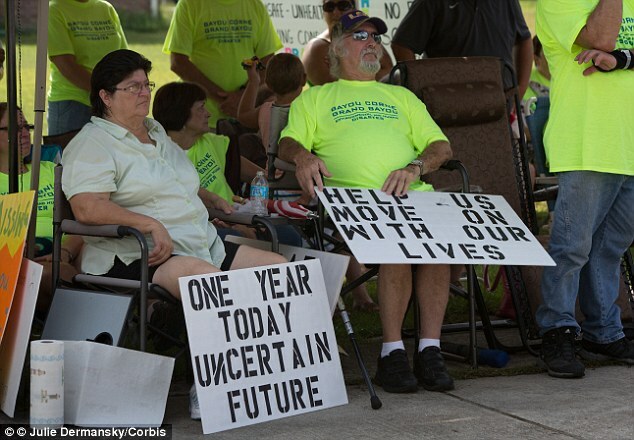 ‘We were planning on retiring here. Now, instead of coming up and enjoying the weekend, sitting on the patio drinking a few glasses of wine, we wake up in the morning and we go look for houses. That’s the new reality,’ he said. 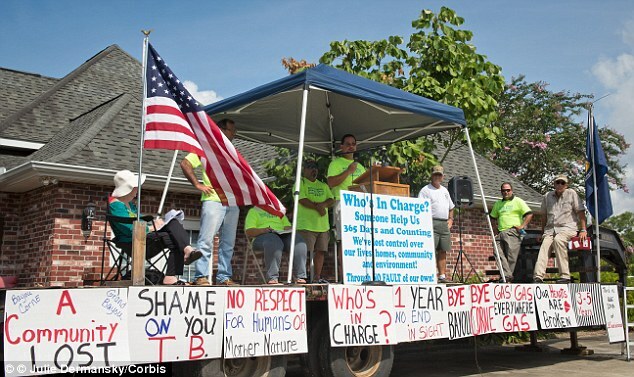 Texas Brine has issued regular updates on its efforts to tackle the problem. The quote comes from a new book called “Double Down,” by journalists Mark Halperin and John Heilemann, which chronicles the inside story of the 2012 election. The Washington Post was the first outlet to expose the quote in its review of the book. 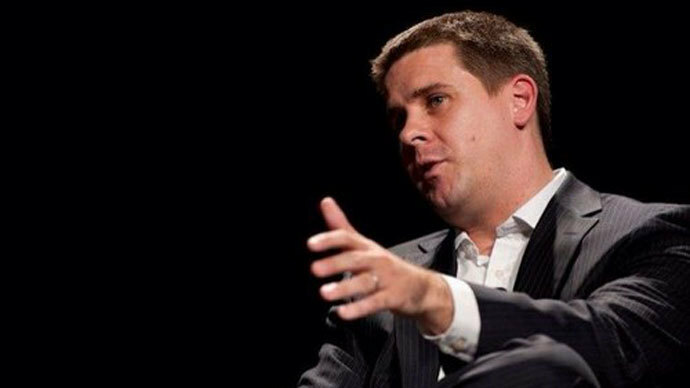 The White House has yet to comment on the alleged quote, but one of the president’s senior advisors, Dan Pfeiffer, rejected many of the book’s claims on ABC’s Sunday show “This Week.” The book also claims that Obama’s political team considered replacing Vice President Joe Biden with former Secretary of State Hillary Clinton for the reelection campaign. The revelation of the quote comes as the administration’s drone campaign is placed under increasing scrutiny. 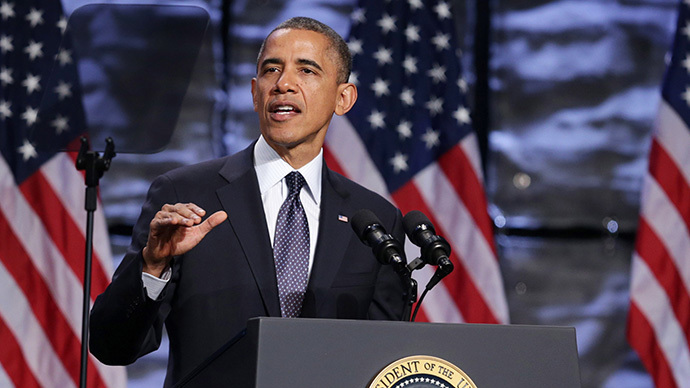 Since taking office in 2008, and winning the Nobel Peace Prize in 2009, Obama has greatly expanded the use of drones and targeted killings in foreign nations. He oversaw the 2009 surge in Afghanistan, drone operations during NATO’s 2011 involvement in Libya, the May 2011 raid that killed Osama bin Laden, and the most recent strike that killed the Pakistani Taliban leader Hakimullah Mehsud. According to the Bureau of Investigative Journalism in London, the president has authorized 326 strikes in Pakistan alone. It also estimates that, since George W. Bush took office for his second term in 2004, the strikes have killed anywhere between 2,500 and 3,600 individuals, and that between 416 and 948 of those individuals were civilians. The White House claims the number of civilians killed by drones is much lower than that, though it has declined to release its own number for national security reasons. The administration considers any “military-age males” within a strike zone to be combatants. Civilian drone deaths came under the spotlight just recently in Washington, when a Pakistani school teacher and his family testified before Congress on the effects of the program on civilians. According to Amnesty International, the family’s grandmother was killed by a U.S. drone strike in 2012, along with 18 other civilians. The use of drones also made national news when it was revealed that the machines killed 16-year-old American Abdulrahman al-Awlaki, the son of a radical preacher Anwar al-Awlaki, on September 30, 2011 in Yemen. 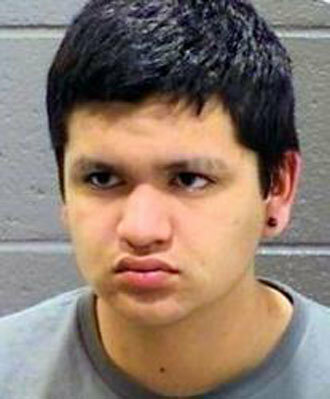 The young man was killed two weeks after his father, and his family is still searching for answers as to why. To read the full article click the link above..
McDonald’s is under fire once again, this time for suggesting employees break up their food into smaller pieces to get full and to sell personal belongings on eBay or Craigslist for cash. 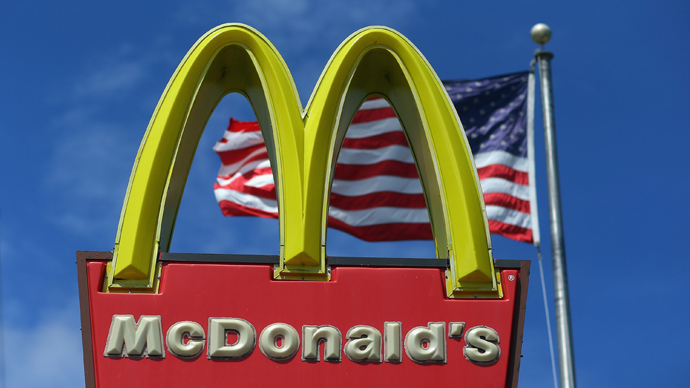 These recommendations, along with others, were made public on Tuesday when the activist group Low Pay Is Not OK, which promotes higher wages for fast food workers, posted a YouTube video concerning the McResource employee website. At one point, the website even told employees to “quit complaining” because ten minutes of complaining raises stress hormone levels. 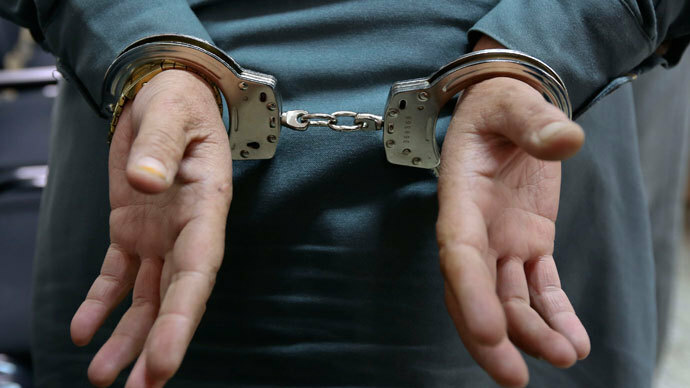 “This is an attempt by an outside organization to undermine a well-intended employee assistance resource website by taking isolated portions out of context,” the statement read. In October, Low Pay Is Not OK published a recording showing an employee calling the McResource site to ask for financial assistance. The recording made waves for showing hotline operators telling the woman to inquire about food pantries and enrolling in federal programs like food stamps and Medicaid. A week before that recording was published, a study revealed that 52 percent of the families surviving on employment by fast food companies are registered in one or more public assistance programs. 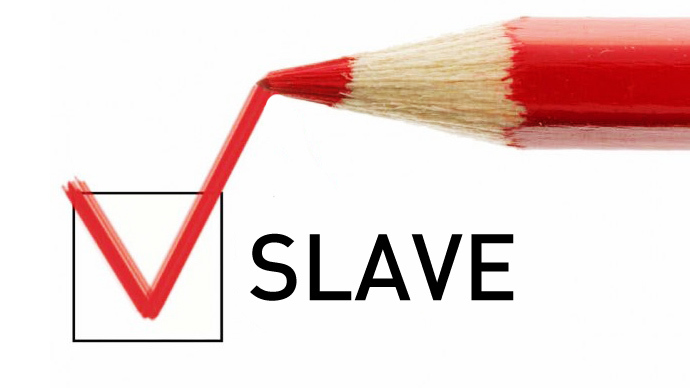 In comparison, 25 percent of the overall workforce is similarly enrolled in such programs.